Last month, a group of 50 Rivers Casino workers gathered in the employee cafeteria to decry the casino's strict attendance policy. There they shared stories of employees who had been fired and their own personal struggles with an attendance policy they say has led to the casino's high employee-turnover rate. 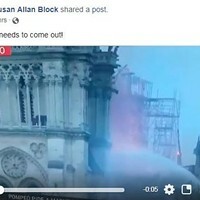 "We wanted to show how serious this is," says cocktail-server Nicole Gallagher. "The energy was really great." Following the rally, the group marched to the casino's administrative offices, where they delivered a list of changes they want made to the attendance policy. "We'll be back," they chanted after their mission was complete. It was one of several demonstrations that casino employees have held over the past few years in an effort to unionize their workplace. 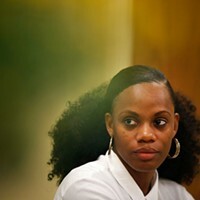 Another, this past August, drew union workers and employees engaged in similar union battles throughout the city. Casino employees are among a wider network of workers across Pittsburgh and the country fighting to unionize. But local efforts, including the high-profile union campaign by employees at UPMC, one of Pittsburgh's largest employers, have been slow going. Casino workers have been organizing intermittently since 2009. UPMC workers have been at it since 2012. Other ongoing campaigns in Pittsburgh include museum workers, adjunct professors, fast-food workers and security guards. Organizers say these campaigns have been hindered by employer intimidation. Employers say their workers have simply chosen not to be represented by a union. And other observers say the decline of unions is the result of their failure to adapt to changes in the American workplace. "If anything, we need smart, strong unions now more than ever," says Kyndall Mason, who's been involved with local efforts to organize fast-food workers through One Pittsburgh, a local workers' rights organization. "The only reason unions have lost steam is because of the systematic dismantling of their power from conservative, corporate-aligned elected officials making and passing laws that weaken a union's ability not only to organize, but to actually fight on the behalf of their workers." Over the course of organizing efforts at Rivers Casino, employees have seen a number of victories, including increases to benefits and vacation/sick days, and other policy changes. But without union representation, organizers say there's no way to ensure these victories are permanent. "Job security is the bottom line," says Rivers employee Fred Lapka. "I don't want to go to work scared that I could be fired at any time without doing anything wrong." The most recent demonstration at the casino was focused on the employee attendance policy, under which workers are penalized, for example, for being even a minute late for a shift. 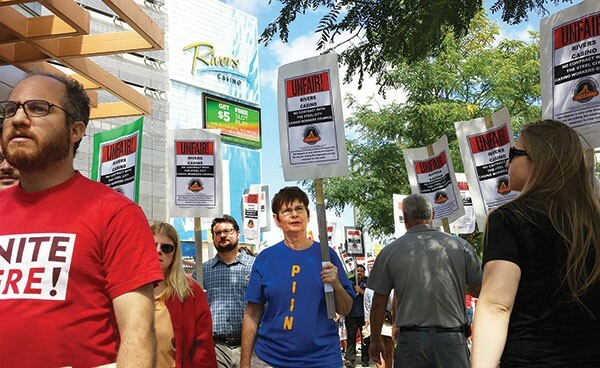 The workers trying to unionize say the casino's inflexible policy has led to greater employee turnover, which has hindered their efforts to unionize because their voting base is in constant flux. "I've seen a number of good workers fired for the attendance policy," says Lapka. "The casino purchases a lot of billboards claiming to be the best employer in the city, but we have a turnover rate of 40 percent. I think the turnover rate speaks to them not being the best employer." Rivers officials declined an interview request from City Paper. "Rivers Casino is proud to have been voted one of Pittsburgh's ‘Best Places to Work' by our Team Members, and we respect their rights to choose whether to be represented by a union," casino spokesperson Jack Horner said in a statement. "So far, our Team Members have chosen to remain independent." Horner also said the 40 percent turnover rate being touted by workers, "is incorrect; the actual is much lower." "Personnel data is proprietary, but I can tell you that we are consistent with industry standards," Horner said via email. Unionization efforts at other Pennsylvania casinos have been successful in recent years. Presque Isle Downs and Casino in Erie, Meadows Racetrack Casino in Washington, and Harrah's Chester Casino in Philadelphia are represented by Unite Here, a national union. Unite Here's Pittsburgh effort coincides with efforts at two other casinos run by the Rivers management group in other states. Local Unite Here spokesperson Jon Scolnik says the reason these efforts have been stalling is because Rivers has violated federal labor law. 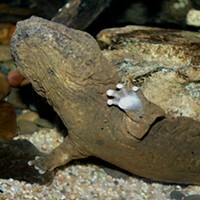 What is a hellbender, Pennsylvania’s new official state amphibian?